New 2019 Operating Plans signed with Greece, Italy and Cyprus, with the latter mandating a notable increase in support from EASO. 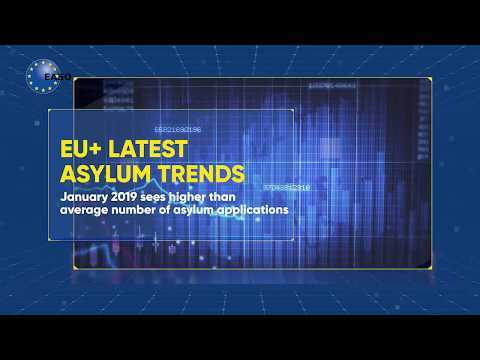 In late December 2018, the European Asylum Support Office (EASO) signed three new Operating Plans with authorities in Cyprus, Greece and Italy. The new Plans are updates of previous versions, and detail the support that the Agency will provide to the asylum authorities of the three EU Member States throughout 2019 in order to ensure that EASO continues to meet the operational needs of the authorities that request it. The Operating Plan for Cyprus, which has experienced a recent surge in asylum applications, was signed by the Executive Director of EASO a.i., Jamil Addou, on behalf of the Agency, and the Minister of Interior, Mr. Constantinos Petrides, on behalf of Cyprus. In response to the increased pressures on the Cypriot authorities, in 2019 EASO is expanding the technical and operational assistance it has been providing to the country since 2014. Specifically, the Agency will continue to support the Cypriot Authorities with the registration of applications for international protection and with improving reception conditions, not only in the accommodation centre in Kofinou but also in the newly established first reception centre in Kokkinotrimithia. EASO will also initially maintain, and in the course of the year significantly increase, its capacity to stabilize and reduce the backlog of pending cases. Under the new Operating Plan EASO will also support the Cypriot authorities in the area of data management and coordination. EASO support for Greece will also continue in the course of 2019 based on the new Operating Plan signed by Mr. Addou and the Greek Minister for Migration Policy, Dimitris Vitsas. The new plan builds on EASO’s existing operational support to Greece, which has been expanded over the past few years. EASO will continue to perform a wide range of operational activities including support in processing of applications under the border and the regular asylum procedure, information provision, handling outgoing Dublin take-charge requests, supporting the enhancement of the Greek Asylum and Reception system and training Greek personnel. The new Operating Plan for Italy was signed by Mr. Addou, on behalf of EASO, and the Head of the Department of Public Security, Franco Gabrielli, the Head of the Department of Civil Liberties and Immigration, Gerarda Maria Pantalone, and the Ombudsperson of Children and Adolescents, Filomena Albano, on behalf of Italy. Under the plan, EASO will maintain the technical and operational assistance provided to Italy since 2013. Notably, in 2019 the Agency will continue to support Italian Authorities in the processing of applications for international protection, as well as enhancing their capacity to absorb the backlog of cases accumulated during the spike in arrivals in recent years. Amongst others, EASO will also continue to support Italy by processing Dublin procedures, strengthening the Italian Country of Origin Information Unit, and implementing a system to monitor and manage the reception system. Furthermore, EASO will continue to support the Italian Ombudsperson for Children and Adolescents with capacity building activities for volunteer guardians. At any given time throughout 2019, EASO will have hundreds of experts deployed in the three countries. Such deployments are only made at the request of EU Member States and the operational activities are governed by the Operating Plans which are agreed to with the national authorities concerned. Any further information may be obtained from the European Asylum Support Office on the following email address: press@easo.europa.eu .